JRPG Jungle: Don't have a Vita? The new PS Vita Slim is coming to stores in Australia and is available online in other regions! Don't have a Vita? 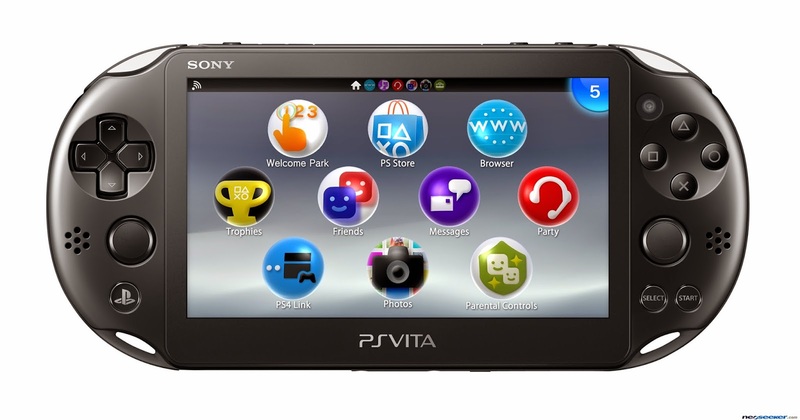 The new PS Vita Slim is coming to stores in Australia and is available online in other regions! If you don't have a Playstation Vita, this is the time to get one. With Australia now getting the new PS Vita Slim on June 4th, this less expensive version of the Vita is highly accessible worldwide. If you're in Australia like me, you can pre-order a PS Vita from EB Games and JB Hi-Fi. Notably, JB Hi-Fi so far seems to have the best deal at $259 and including Borderlands 2 for Vita. EB Games is offering the new PS Vita at $269. To put this price in perspective, my original-non-slim PS Vita was $299 from EB Games without any games or a memory card. The new PS Vita includes a 20% thinner and 15% lighter console, 1GB of hard drive space (with memory cards still being sold separately) and a longer battery life due to this version of the Vita having an LED screen instead of the original PS Vita's O-LED screen. If you don't have a Vita and you're a JRPG fan, you're missing out. Many times the Vita has been called the 'JRPG machine' and it has a wonderful range of games physical and in the Playstation Network. I personally love my O-LED screen's neon brightness dearly, so I won't be 'upgrading' to the new one but I would love to get one of the Japanese coloured PS Vita's eventually so I could have a second Vita to use the Japanese Playstation Network (you can only have on PSN account partnered with a Vita). If you're not in Australia, you can purchase the PS Vita Slim from Amazon and from Play-Asia right now. The PS Vita is region free, so if you're thinking of importing a shiny pretty coloured one from Japan, this IGN guide covers the 'Importing A Vita' process very well (it's from when the vita first came out, but the same principles apply). Please remember before importing: even though the Vita is region free and physical games from multiple regions will work on any PS Vita, you can only use one PSN account/region per console and the DLC for the games ARE locked by region.